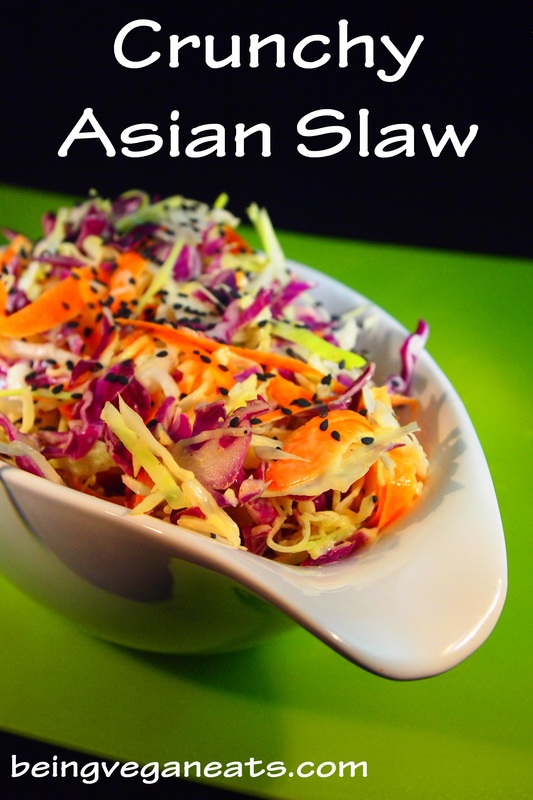 For a mouth-watering side or a topper to a sandwich or veggie burger, this Crunchy Asian Slaw is refreshing. It’s got just the right hint of sesame. We even like to eat it for a snack. 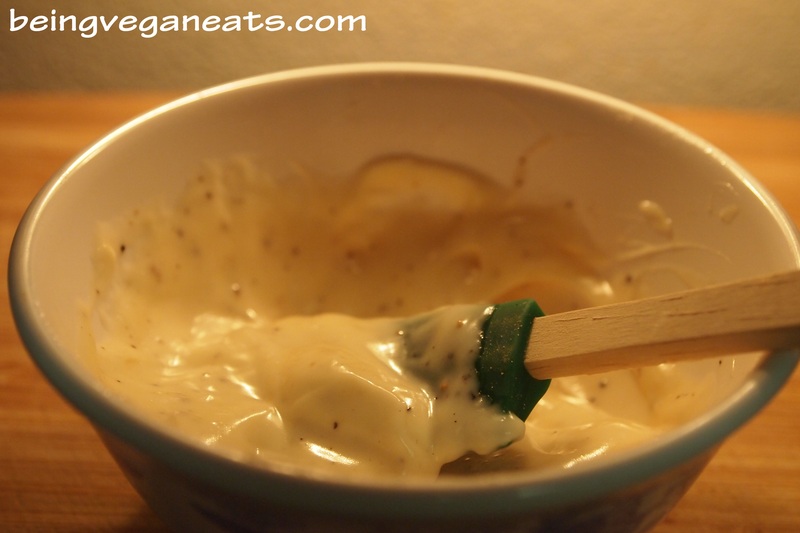 In a mixing bowl, combine the vegan mayo, sesame oil, mustard powder, and cracked pepper. Whisk or mix until combined. 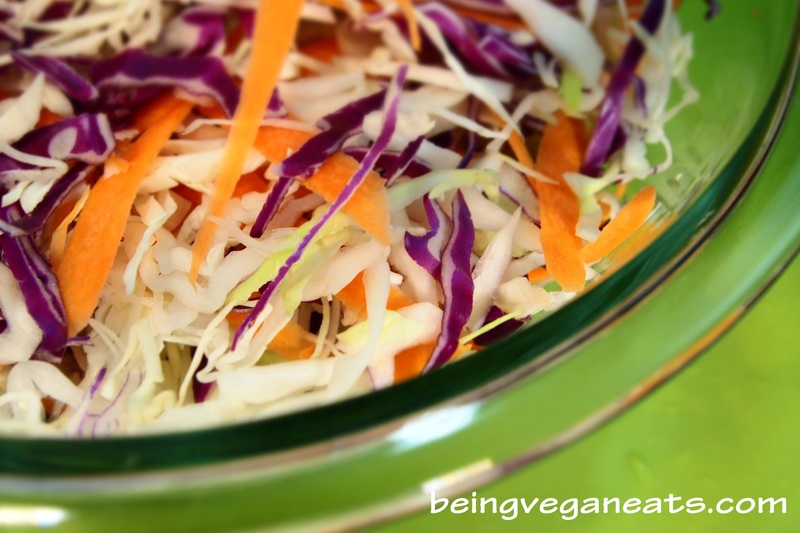 Add in the carrots, red cabbage and green cabbage. Toss in the dressing. 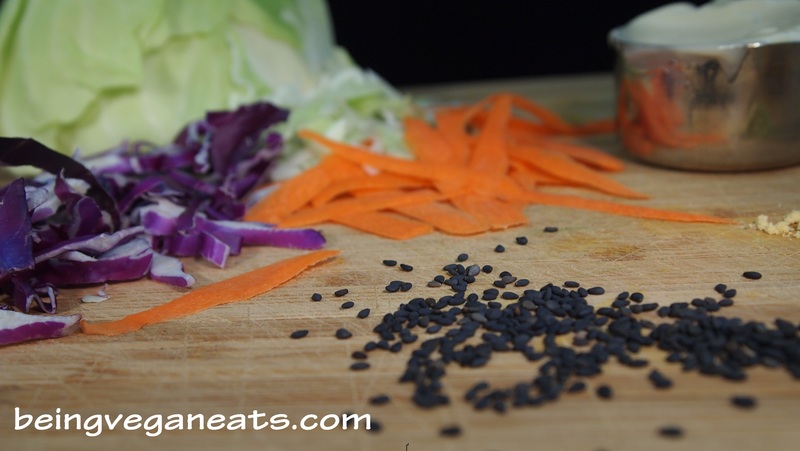 Sprinkle liberally with black sesame seeds. Chill in the fridge for at least one hour before serving. 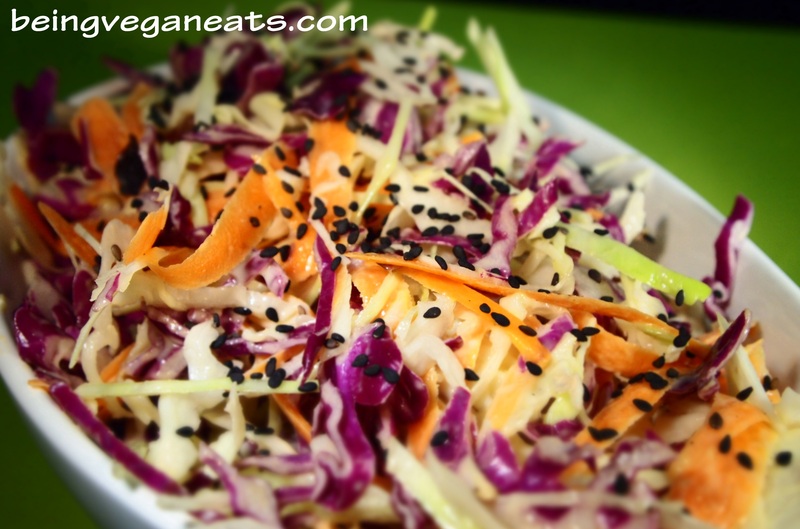 Can be served as a side, or a topping on a veggie burger. This looks good. I think I would make it with a citrus juice as a substitute for the mayo options to cut the creaminess factor. I could see it being used as a perfect topping for a pulled pork sandwich that way too!